This is such a snap to throw together. 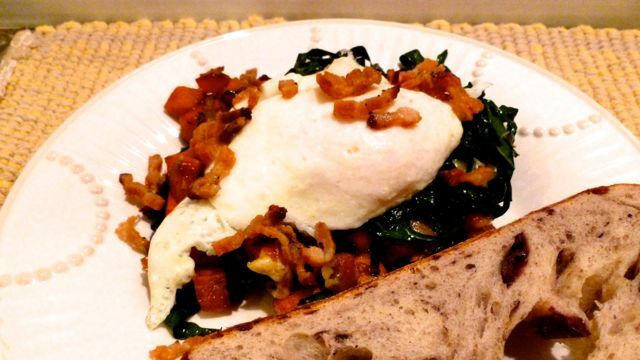 The recipe calls for bacon, but honestly, you can easily omit the bacon to satisfy the vegetarian at your table. 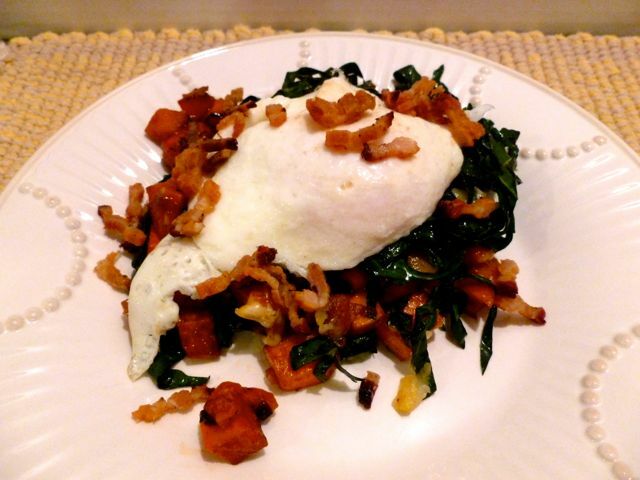 A bit of cheese to the hash is another idea your family might like. 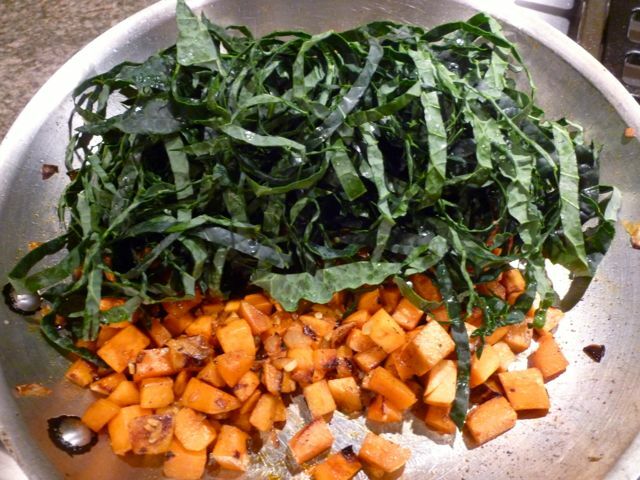 This recipe is chock full of nutrients thanks to the feature ingredients: sweet potatoes and kale. I simply can't sing the praises about these two veggies enough. 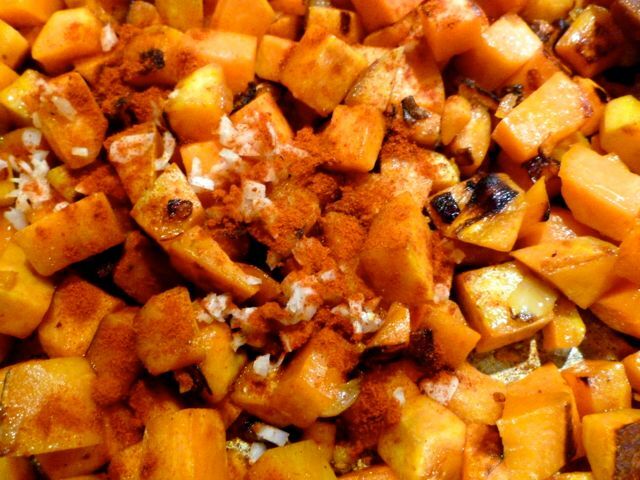 Sweet potatoes are super high in vitamin A, more specifically beta carotene. 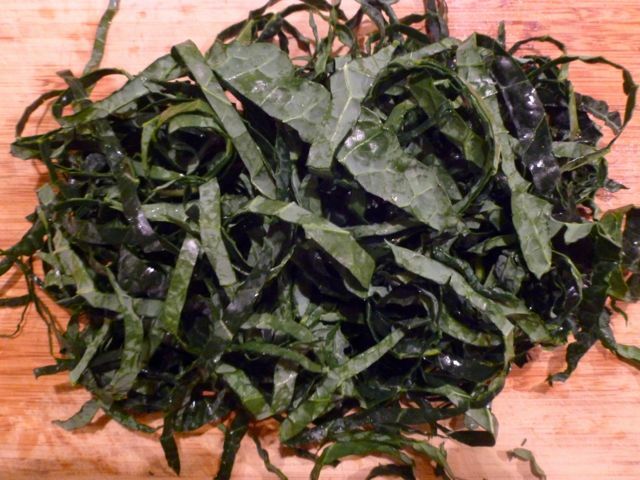 They are also an excellent source of vitamin C and manganese. All while being rather low in calories at 115 calories per cup of cubed sweet potatoes - not bad. And then there's kale! This is veggie stacks up the nutrient accolades like no other: vitamin K, A, C; not to mention calcium, copper, potassium, iron, manganese and phosphorus. All that in 33 calories per cup - now, that's a powerhouse veggie! Full of fiber too! 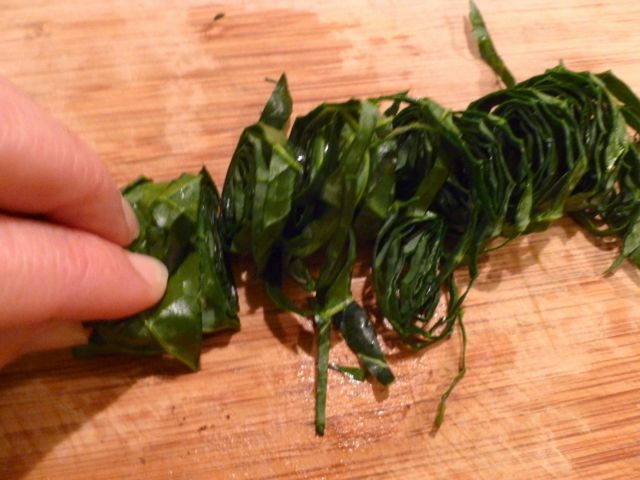 Want to chiffonade your kale - it's easy! 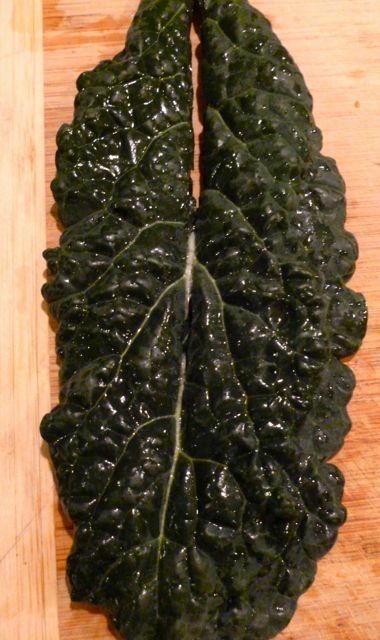 #1 Kale - Thick stem removed. #2 Start rolling. . .
#3 Keep rolling. . . This recipe has so many possible variations - have fun with it!